When you are planning your summer garden, you cannot forget to grow melons. You might be wondering then, how do melons grow? 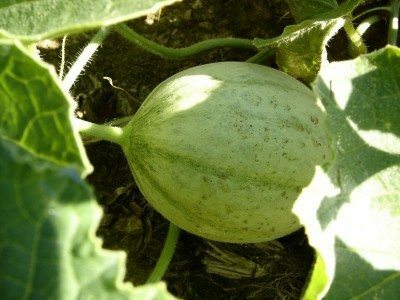 It isn’t too difficult to grow melons. Read on to learn more. There are plenty of tips to grow melons that you will hear when you tell people you are planting melons in your garden this year. One of the best is to remember that the soil should be slightly acidic – with a pH around 6.0 to 6.5. 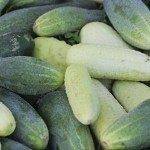 Another tip to keep in mind is that they cross-breed easily with other vining plants such as cucumbers and squash. Therefore, plant them away from these plants so no cross-breeding occurs. Melons are a warm season plant that enjoy average temperatures between 70 and 80 F. (21-27 C.). After all danger of frost has past and the ground is warm, cultivate the area well and remove any sticks and rocks. Form small hills in the soil because melons are vining plants. 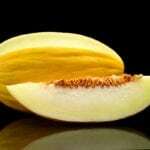 Planting the melons should be done with three to five seeds per hill about 2 inches (5 cm.) apart and 1 inch (2.5 cm.) deep. Water the seeds in well after planting melons. Once the growing melon plants come through the soil, wait until two of them are taller than the others and remove the rest. In colder climates, you can also start by planting melons indoors. Once the weather is right, you can transplant your seedlings outdoors. The plants are quite sensitive to cooler temperatures. Therefore, before planting melons outdoors, make sure you harden your seedlings so they will survive. Growing melons require about an inch or two of water per week (that’s about 2.5 to 5 cm.). Make sure you don’t forget to water them when there are periods of no rain. Also, they should be fertilized every two to three weeks. When the plants begin to bloom, don’t worry if the flower wilts and no melons appear. The second flowering is actually the female flowers that produce the fruit. The first flowers are male and will normally drop off. Slow down on the watering when it gets closer to harvesting time. Stopping the watering near harvest will allow for a sweeter fruit. Watering them too much toward harvest will water down the flavor. Although the harvesting of melons is really dependent on the type of melon your are growing, in most cases, you’ll know your melons are ripe enough when you pick one up and sniff the skin. If you can smell the melon through the skin, your melons are ripe enough to pick. Also, many types will generally break free from the vine easily once ripe.